Pre-orders of my first book, The Painted Art Journal, are starting to ship out! This is so exciting and scary all mixed up! The official launch is July 4th and we will be celebrating until then. You can also order a signed copy from our shop. 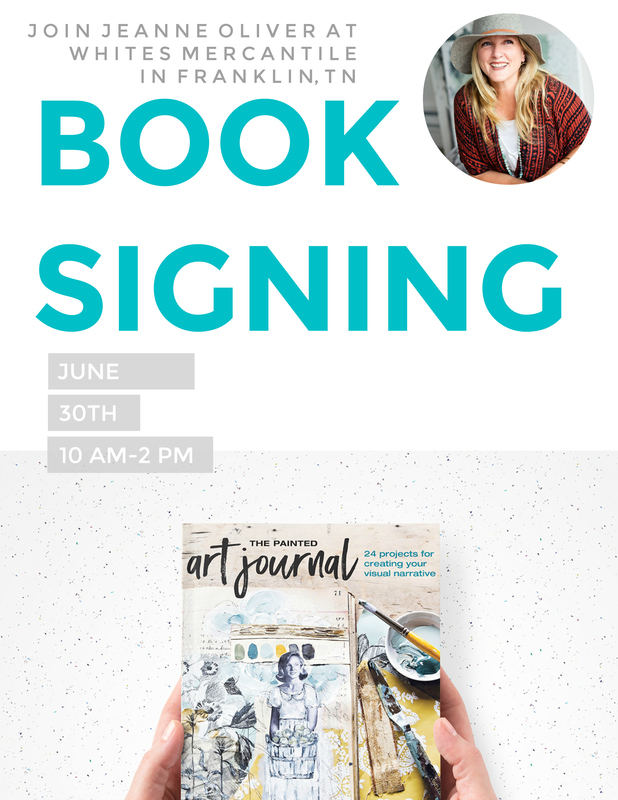 For those of you close to Franklin, TN I would love it so much to see you at my first book signing that will be held at White’s Mercantile on June 30th 10 am – 2 pm. This book is for you and it would mean so much to see you there. Over the next few weeks, we will be celebrating and sharing in different ways and I would love to have you follow along! Also, be looking for the live Instagram and Facebook Q + A I will be doing.